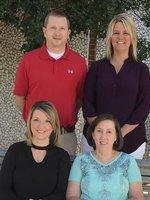 Welcome to the WGHS school counselor’s web page! It is our sincere hope that this will be a useful tool for both students and parents as you make important decisions concerning high school education and plan for life beyond West Greene. Feel free to contact us through email or call the office at the number listed below. (Our records are being scanned and are in transition.